Details: This fun loving couple shows that two can play the game. Obscured from the front view, both seize the opportunity to exchange a little "playful squeeze". Hand painted porcelain. 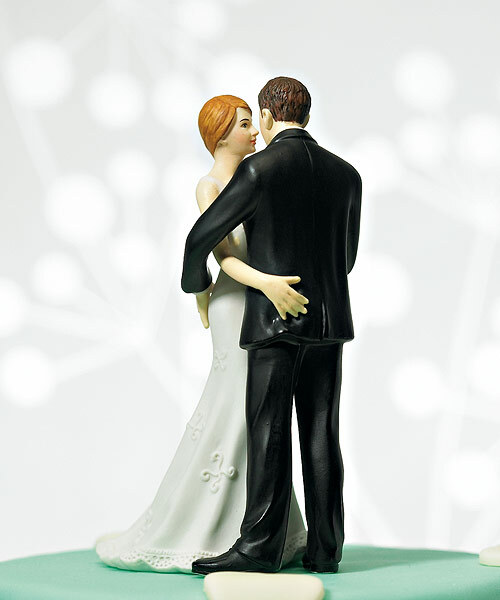 Presently the Bride and Groom Cake Toppers are available with skin tones and hair colors only as shown. Click Below to order Hair Color Customization For Groom.